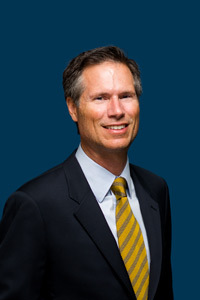 Robb Hammond is the President and CEO of AERI. He established the company in 1994 with the goal of bringing professionalism to the Independent Electronic Component Distribution industry. His interest and passion in battling the proliferation of counterfeit electronic components has led him to take a significant role in leading the industry towards safe practices. AERI was one of the first distributors certified to the AS6081 counterfeit mitigation standard. Robb’s is the Chair of SAE’s G-19D counterfeit avoidance committee, which developed the AS6081 distributor counterfeit mitigation standard. Additionally, Robb was involved in the development of the AS5553 manufacturer standard and AS6171 counterfeit testing document. His company is a founding member of IDEA (Independent Distributors of Electronics Association), which has brought many quality documents to the industry, such as the IDEA-STD-1010. As an avid speaker/teacher at counterfeit avoidance conferences, he has presented at NASA’s supplier conferences, CALCE Counterfeit Symposiums, the UK’s Component Obsolescence Group conference, DMSMS/DoD conferences, ERAI conferences, and CTI’s Components Obsolescence Workshops. Robb Hammond Speaking at the 2015 CALCE / SMTA counterfeit symposium on counterfeit parts and materials.